Brief Synopsis – After ending up on the surface, the Queen of Atlantis falls in love with a common fisherman and their son becomes a powerful superhero who tries to unite both worlds. My Take on it – Being a fan of DC superheroes, I have always enjoyed watching the movie made about those characters. 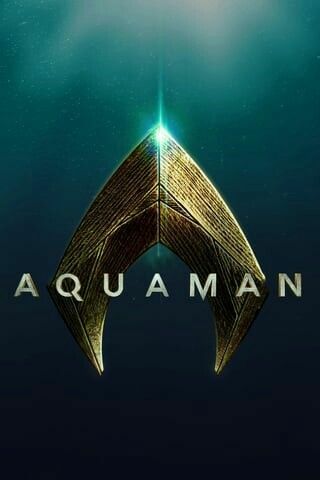 I was a bit unsure of what to expect with this film and because I’ve never been the biggest fan of Aquaman, I waited some time until I eventually watched this movie. It’s unfortunately, must too long and too tedious with the story since nothing feels original in any way, no matter ow one looks at it. They leave the ideas of the Justice League behind and try to tell a solo story about one of the lesser powerful superheroes who isn’t among the most interesting of the league. Aquaman has a great story to be told, but the script used here just isn’t the right one because it seems much too silly. Jason Momoa is fine in the title role, but something seems off the entire time and I would have preferred it if he looked much more like the blond haired blue eyes animated version. Momoa was much better in Justice League (2017) than he was here. The film gets one things very right and that is the special effects. They manage to do a superb job making the world under the water seem like it works just like the world above it and it’s great to watch the characters converse underwater and do anything thing else imaginable especially when it looks plausible. This is the weakest of the DCU films so far and let’s hope they get back on track with the next one later this year. Bottom Line – Extremely overlong and tedious addition to the DC Universe. This film doesn’t manage to bring anything new and innovative to the story telling of the Justice League and shows how un-interesting this character can actually be if not presented properly. Momoa is fine in the lead, but I still prefer to look of the animated version of this character. The special effects are the one truly amazing thing about this film as it allows us the opportunity to see a world below the depths of the Sea and have them carry on with a familiar kind of life under water. Lets hope that they somehow get back on track with the next film in the series. A 5 out of 10 is overly generous. this one came in at #9 on my Ten Worst list for 2018.